Kristen chose to practice criminal defense after her experience interning for the Georgia Innocence Project, working to free people who were wrongfully convicted and help them rebuild their lives. Normally, the interns are law school students, but Kristen was selected while she was still an undergraduate student at Auburn University. I found I enjoyed helping people, especially in this project. It's an extra check on the justice system, which is needed because people's lives, their families, their money, and certainly their freedom, are involved, she said. Kristen gained experience in both defense and prosecution at the state and federal levels in Virginia and Tennessee before returning to her hometown of Atlanta. 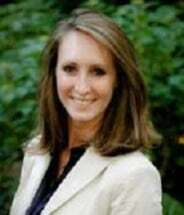 She worked at the Nashville Office of the Public Defender, interned at the U.S. Attorney's Office, Eastern District of Virginia and the Richmond Commonwealth Attorney's Office, and was an associate at the Stone & Cardwell criminal defense law firm in Richmond before joining Garland, Samuel & Loeb. While a student at the University of Richmond School of Law, Kristen excelled in numerous law competitions in negotiation, trial advocacy, and moot court. She also studied in the Richmond Summer Program at Emmanuel College, Cambridge University.